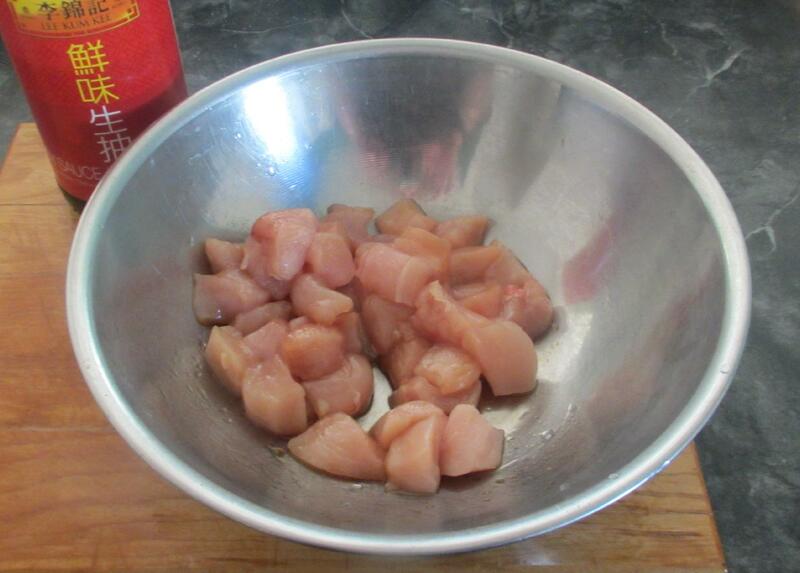 First, toss the chicken cubes with the soy sauce and oil and leave to sit for at least twenty minutes. 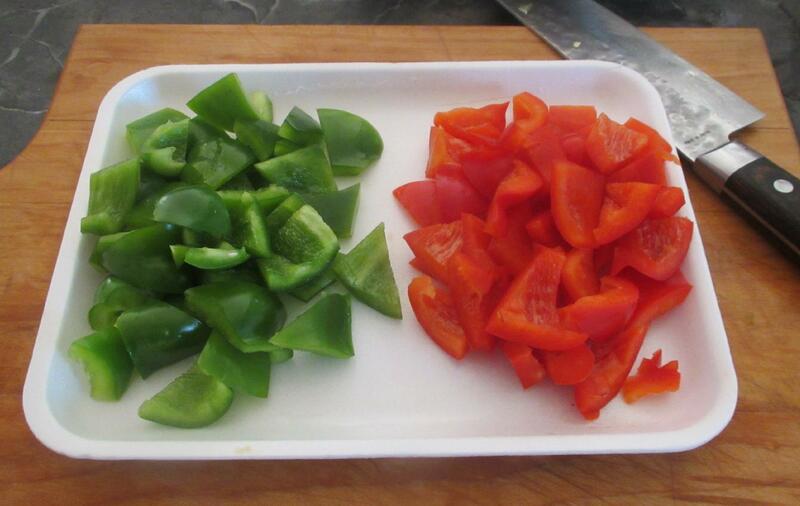 Cut the peppers into small, irregular chunks roughly the same size as the chicken pieces. 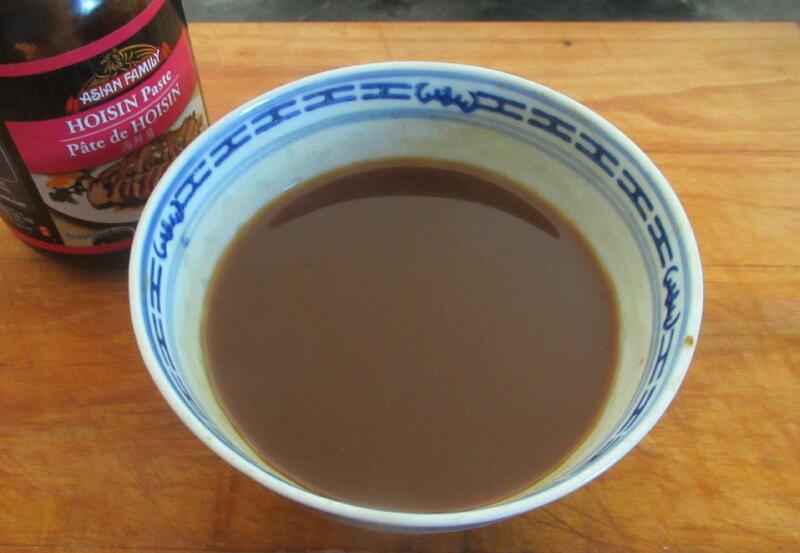 Complete the preparation by mixing the Hoisin Sauce, sugar and vinegar together in a small bowl. 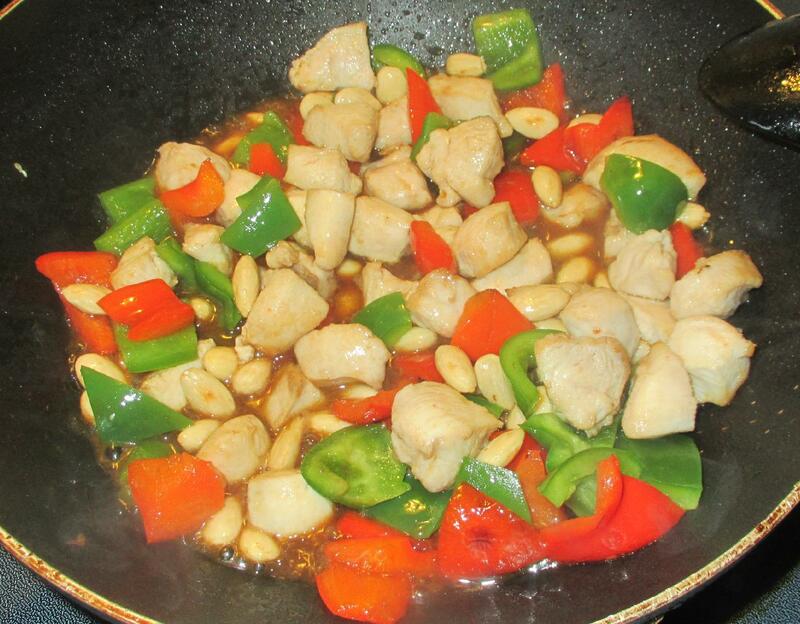 If the Hoisin is very thick, add a few tablespoons of very hot water to make a smooth blend. When you are ready to cook, deep fry the chicken cubes at moderately high heat for a minute or two until they are nicely done on the outside but still tender in the center. 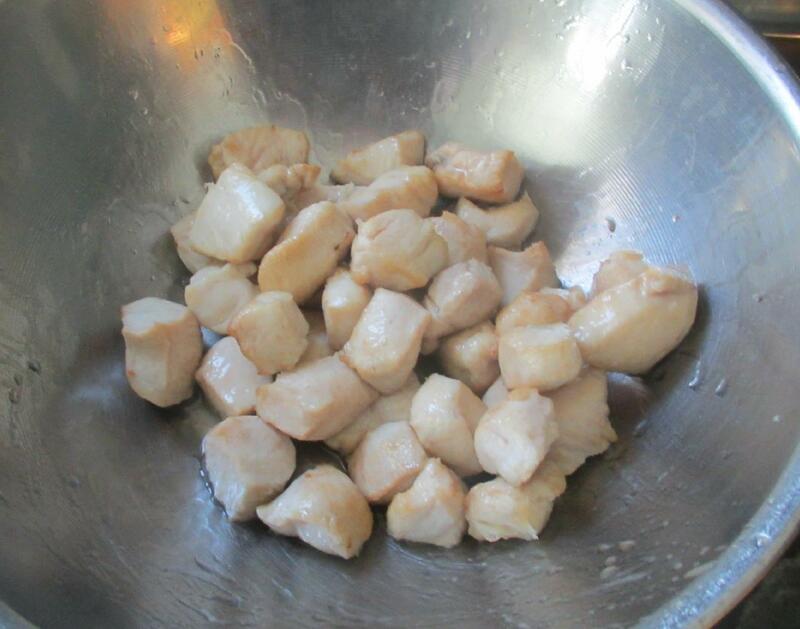 You can do this in a proper deep-fryer, or in a pan with a cup or two of oil. In the latter case, it is best to work in a couple of batches so as not to lower the temperature of the oil too much. 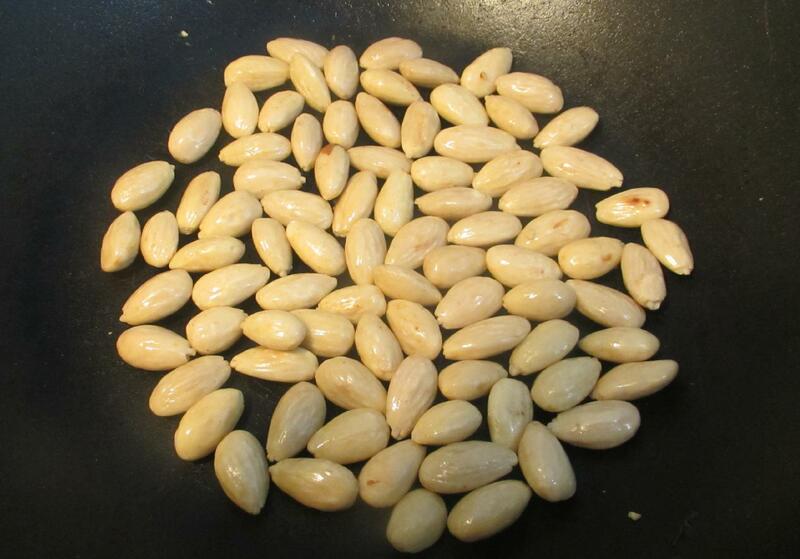 Now, toast the almonds in a dry pan over high heat just until a few brown spots appear. Remove them from the heat at this point as they will continue to cook from the residual het and it is very easy to burn them if you are not careful. 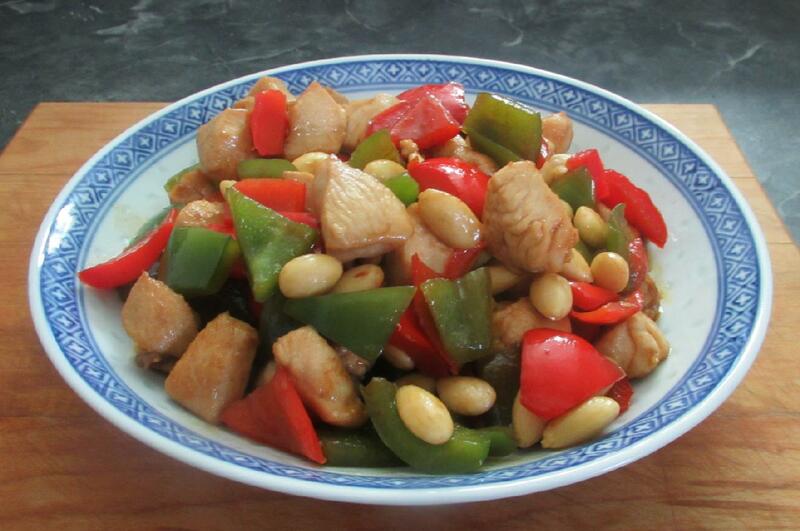 Finally, add back the chicken and the almonds followed by the sauce mix. 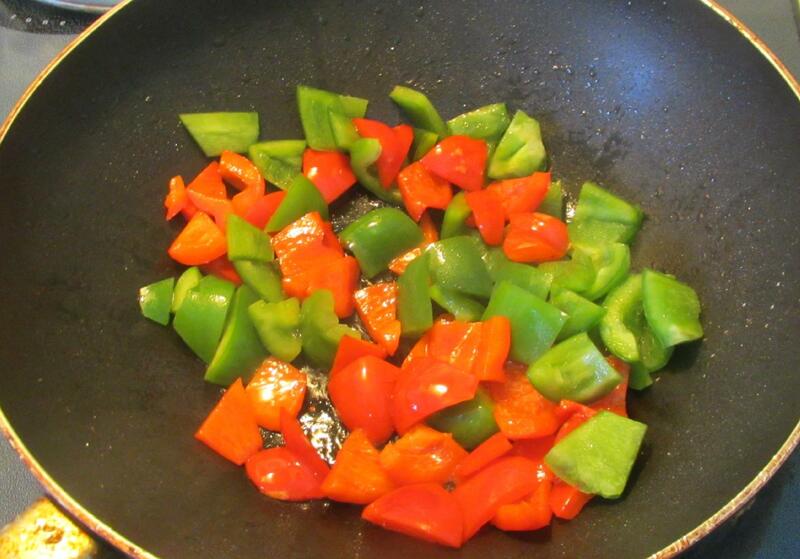 Stir and toss for another minute to heat everything through and allow the sauce to reduce slightly. Plate and serve right away.